People may react in different ways to drugs based on their genetic makeup. 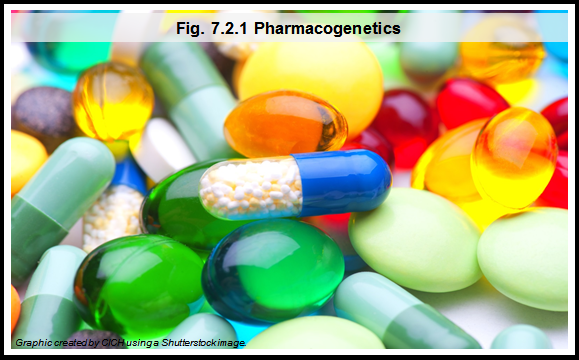 Pharmacogenetics is the study of the how genetic factors influence a person’s response to drugs. Testing for certain genetic tendencies before prescribing certain drugs could help avoid harmful drug effects and improve the effectiveness of drug therapy. Pharmacogenetic testing is beginning to revolutionize prescription practices in medicine. The case of codeine is but one example. Some women may produce much more morphine when taking codeine than most people do. In this situation, newborns might be exposed to toxic levels of morphine when breastfeeding. Health Canada advises the public, especially nursing mothers, about the very rare but serious health risk to breastfed babies posed by codeine use.1,2 Considering many women receive codeine for post-labour pain, they and their physicians need to be aware of the pharmacogenetic impact of codeine. Options to reduce this risk include discontinuing codeine after 2 to 3 days of use and being aware of symptoms of producing more morphine in both mothers and newborns. It will take time for pharmacogenetic testing to enter conventional medical care. Future pharmacogenetic research in children is essential. Children are not small adults. They have unique physiologic differences not only based on their genotype but also on their developmental stage and other factors such as BMI (body mass index). All of these factors will have an effect on their responses to drugs. Therefore adult research is not necessarily transferable to children. This understanding of pharmacogenetics not only maximizes therapeutic effects but also increases the likelihood that pharmacogenetic differences in children may further complicate clinical trial development for orphan diseases and be a disincentive for drug development targeted to children. As a result, children would not benefit from the promise of pharmacogenetic developments.3 American and European legislation has put provisions in place in the hope of promoting the development of treatment for children and orphan disease groups. Health professionals, including doctors, nurses, genetic counsellors, and pharmacists, have limited knowledge about pharmacogenetics and will need to receive training to be prepared with the necessary skills for introducing pharmacogenetic testing into their clinical practice.